A brief history of the Middle East, as told through facial hair. In the spirit of Ben Smith’s “11 BuzzFeed Lists That Explain the World” for the May/June 2013 issue of Foreign Policy, the FP staff decided to look at the world through BuzzFeed’s eyes for a day. For more, check out 14 Hairless Cats That Look Like Vladimir Putin, 7 Things North Korea Is Really Good At, 9 Disturbingly Good Jihadi Raps, and 1 Pentagon Weapons System That Was on Time and Under Budget. As World War I was raging, the British and French carved up the map of the Middle East to preemptively divide the imperial spoils from the Ottoman Empire’s fall. The agreement, negotiated by François Georges-Picot, who appropriately sported an imperial-style mustache, and Mark Sykes, seen here with a chevron-style ‘stache in need of a trim, created a blueprint for Western European control in the region that would set in motion the next century of puppet governments, periodic uprisings, and ethno-religious rivalries. These guys are just awful. Osama bin Laden, the founder of the international terrorist network al Qaeda; his successor, Ayman al-Zawahiri; and his acolytes from across the region — Nasir al-Wuhayshi and Said al-Shihri, the emir and deputy emir of al Qaeda in the Arabian Peninsula; Abu Musab Abdel Wadoud, leader of al Qaeda in the Islamic Maghreb; and former AQIM leader Mokhtar Belmokhtar. Each sports his own variation of the Salafist scruffy beard. A 2009 study found that despite its supposed targeting of Westerners, al Qaeda hasn’t shied away from killing member of the Ummah. With a death toll of eight Muslims for every one “apostate,” al Qaeda and its affiliated mustaches are definitely preventing peace in the Middle East. Al Qaeda’s Sept. 11 mastermind, Khalid Sheikh Mohammed, has tried a couple looks — he wore a particularly bedraggled mustache before going back to being a beardo. After running a brutally repressive regime that used chemical weapons on its own citizens — and waging a decade-long war against Iran in which unarmed civilians were used to clear minefields — the United States toppled Iraqi President Saddam Hussein and his notorious chevron-style mustache in 2003. Hussein’s rivals in Iran haven’t helped calm tensions in the Middle East either. In addition to waging the Iran-Iraq War, the country’s leadership supports terrorist groups and brutal regimes around the region and may be developing nuclear weapons, while suppressing domestic dissent with political violence. Islamic Republic founder Ayatollah Ruhollah Khomeini‘s beard (and glare) are legendary, but don’t be fooled by current Supreme Leader Ayatollah Ali Khamenei‘s grandfatherly whiskers or President Mahmoud Ahmadinejad‘s scruffy cheeks. Hassan Nasrallah, leader of Lebanon’s Hezbollah, appreciates the importance of Iranian patronage, and of grooming his rather stately beard. Another recipient of Iranian assistance is Bashar al-Assad, who has spent the past two years waging a civil war against a popular uprising-turned-armed rebellion. His brutality is a learned behavior; many feel he lives in the shadow of his father, Hafez al-Assad, who also ruthlessly suppressed Syria’s population — and his father’s mustache, which grew much fuller. It hasn’t given way to civil war, but the two-year-long protest movement in Bahrain isn’t contributing to regional peace either. King Hamad bin Isa al-Khalifa and his mustachioed regime haven’t helped matters, conducting mass arrests of activists and even the doctors that treated them after clashes with police. , who established the Movement of the Disinherited during Lebanon’s civil war. Sadr’s movement became a rallying point for Shiite nationalism in Lebanon and, in time, became an ideological predecessor to Hezbollah and generations of beards to follow. The 1960s and 70s were turbulent times for the Middle East. There was the rise of the Palestine Liberation Organization and its leader, Yasir Arafat. Arafat renounced terrorism in 1993 and, in his later days, his mustache thinned to a wiry, somewhat unsettling shadow of its former self. Fresh off the revolutions of the 1950s, the Middle East settled into a cold war between upstart military autocracies, with Gamal Abdel Nasser‘s Egypt leading the way, and conservative monarchies, with King Saud bin Abdul Aziz‘s Saudi Arabia foremost among them. The Egyptian-Saudi rivalry has subsided in recent decades, but some of its undercurrents remain. The Muslim Brotherhood is one such undercurrent. Nasser suppressed the Brotherhood and imprisoned and executed its foremost ideologist, Sayyid Qutb, whose prison manifesto Milestones remains a foundational text of modern political Islam. His influence extends beyond the Muslim Brotherhood, though, and his work has been cited by violent extremists, including al Qaeda chief Ayman al-Zawahiri. No discussion of peace in the Middle East would be complete without a mention of the Arab-Israeli conflict. And while where that conversation should start is an open conversation, it should probably include fin de siècle Jewish intellectual Theodor Herzl, the founder of modern Zionism. His book The Jewish State and (arguably to a lesser extent) his flared mustache and square-cropped beard were instrumental in establishing the movement that, half a century later, would lead to the establishment of the state of Israel. In 1917, with Britain preparing to assert control over Palestine, British Foreign Secretary Arthur James Balfour wrote a letter to Baron Walter Rothschild declaring that Britain would support “a national home for the Jewish people” in the Palestinian territory. Balfour (and his lightly curled handlebar) and Rothschild (and his flared Hungarian-style mustache and Carnegie-esque beard) set the stage for Jewish immigration to Palestine under the British mandate. Israeli leaders have suffered from a dearth of facial hair, but Israel’s hawkish former foreign minister, Avigdor Lieberman, is a notable exception. Lieberman, who sports a Van Dyke and a neard (that’s shorthand for neck beard), called Prime Minister Benjamin Netanyahu’s recent apology to Turkey a “serious mistake” and likened the latest round of nuclear negations with Iran to Hitler’s invasion of Czechoslovakia. Israel’s latest spat with Turkey started in 2010, when a flotilla of Turkish activists tried to deliver aid to Gaza and was intercepted by the Israel Defense Forces, which has blockaded the Gaza Strip since the militant group Hamas came to power. Hamas leader Ismail Haniyeh, who sports a close-cropped beard, and political leader Khaled Meshaal, who has a salt-and-pepper beard with a high-contrast mustache, have flirted with negotiating for peace with Israel, but they have also periodically fired missiles across the border and refuse to acknowledge Israel’s right to exist. Under the governance of the Islamist Justice and Development Party for the past decade, Turkey has pursued a policy of “zero problems” with its neighbors — an approach that is wearing increasingly thin. Prime Minister Recep Tayyip Erdogan and Foreign Minister Ahmet Davutoglu, whose modest mustaches lack the signature grandeur of their Ottoman forebears, have engaged in domestic feuds with Turkey’s military, sparred diplomatically with Israel, and supported opposition groups fighting the Assad regime in Syria. On the positive side, the Turkish government appears close to ending one protracted conflict. The country’s leaders recently announced an agreement and the start of peace negotiations with the Kurdistan Workers’ Party and its leader Abdullah Ocalan. Ocalan (or Apo, as his followers affectionately call him) waged a decades-long Kurdish insurgency in the southeast of Turkey. And while he was arrested in 1999 and is now imprisoned Napoleon-style in isolation on an island, his impressive chevron mustache is still hoisted on banners at Kurdish rallies around the region. Some have suggested that the charges against Hashemi are politically motivated and were orchestrated by his rival, Iraqi President Nouri al-Maliki. Human rights and democracy groups warn that Maliki, who sometimes rocks a sort-of stubbly look but has been known to grow out a modest horseshoe mustache, may be shifting the country back toward a repressive autocracy. Maliki rose to power during the U.S. occupation of Iraq. There are any number of U.S. officials who diminished U.S. influence in the region by backing the war in Iraq, and some who played a greater role, but none reached the facial-hair heights of the U.S. ambassador to the United Nations from 2005 to 2006, John Bolton, whose walrus-style ‘stache became an icon of anti-internationalist neoconservatism. It’s hard to do nuance in an 1,000-word weekly column, but Thomas Friedman‘s formula of glossing over the details with platitudes and pop culture references has produced a swath of New York Times readers who mistake these for analysis. 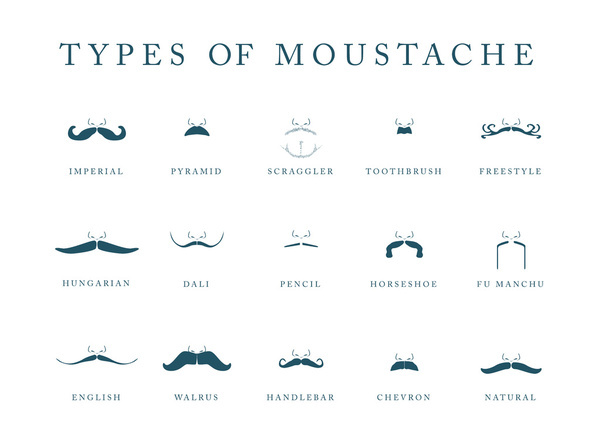 It’s not surprising that Friedman’s “mustache of understanding,” has become a multifaceted meme unto itself.